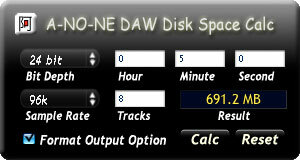 Calculate how much disk space needed for digital audio recording based on bit depth, sample rate, length in time, and number of tracks. 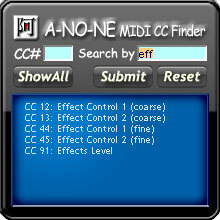 It is difficult to memorize MIDI Continuous Control number yet you need it to program your MIDI devices such as synthesizer, virtual instrument, lighting system, etc. 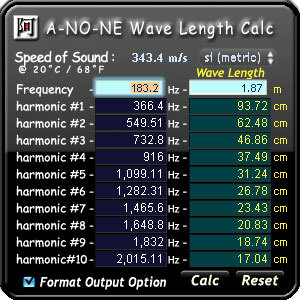 This Widget let you type MIDI Continuous Control number to find its description, or find related CCs by keyword, or even finds Undefined free spaces.